I'm delighted to annouce I will be speaking at Britmums Live about Blogging for the Greater Good. Today I was invited to attend the launch of the Small Wonders DVD that has been developed by a small charity called Best Beginnings. 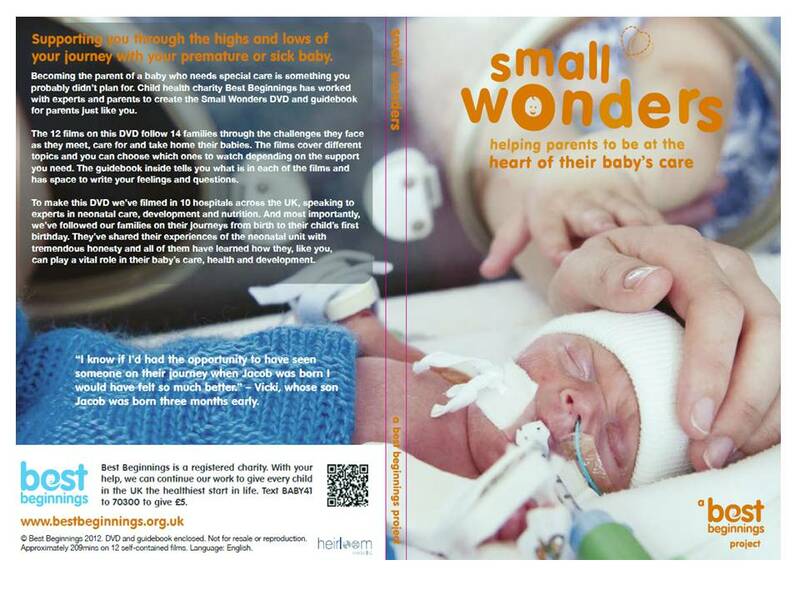 The Small Wonders DVD is being released today to parents who have babies on units throughout the country, through Best Beginnings champions. I am so excited to share about this with you today and explain more about it. Nothing can prepare you for having a premature baby. Your expecations immediately fly out the window and your launched into a scary world, full of machinery, alien noises, even more alien terminology, and somewhere, in the midst of all this technology, is your baby. When Joseph was in hospital he received the very best clinical care, don't get me wrong. However, what was lacking was a sense that I was in the centre of his care, I felt at the periphery. I struggled with not being able to hold my baby, with breastfeeding and expressing. I felt there was so much conflicting information, and each nurse would have a different ethos and method of practice. On the Bliss messageboard there were so many people giving me conflicting stories of their hospital care. I felt jealous that other mothers of 27 weekers were having skin to skin contact with babies on ventilators or CPAP, whereas I was told I couldn't touch Joseph. I learnt that in neonatal care, not all units are equal. Best Beginnings exists to address inequalities in healthcare, particularly for children. I first saw this DVD when it itself was still an embryo, I was involved in road testing and advising on it. It really struck me how different care could be, and how best practice care should work. 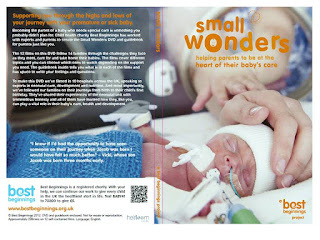 This was further reinforced at the media briefing today, that parents should be at the heart of their baby's care, and that the Small Wonders DVD isn't just about informing parents, its also showing nurses and other professionals what its like to be a parent of a premature baby. So how does the DVD work? Its a documentary style following 14 families, charting their experiences right from the moment their babies are born. 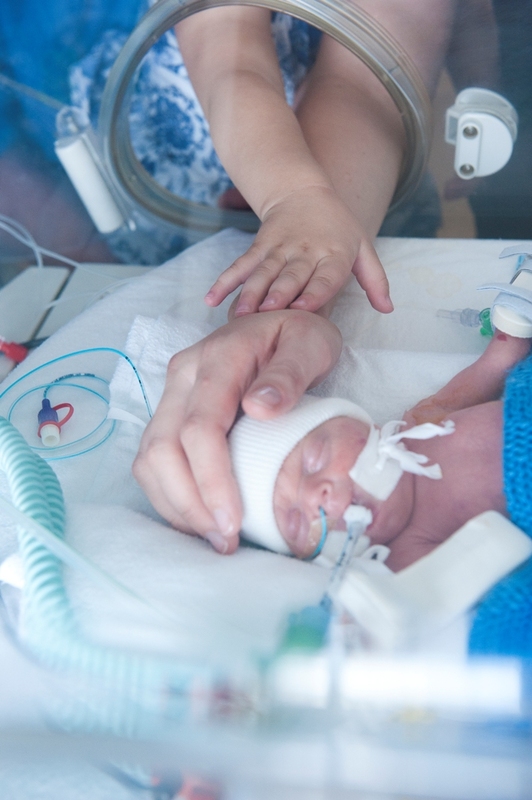 As mentioned it has two aims, to enable neonatal staff to support and advise parents and to encourage parents to play a pivotal role in the care of their baby. All the suggestions in the DVD are evidence based, such as kangaroo care, and expressing breast milk. It has been divided into 12 chapters, and you can dip in and out, viewing the ones appropriate to you at the time. I had the absolute honour to meet three of the parents today, the real stars of the Small Wonders DVD - together with their babies, VIcki, Saima and Sinem. I feel through watching the DVD a few times that they are my friends, and as fellow preemie parents, felt an immediate bond to them. Their motivation for participating in the DVD is the same as mine in blogging, to help parents feel less alone, and to inform them in how to advocate for their babies and themselves. I know that the Small Wonders DVD will be very well received and help lots of parents like me to be at the heart of their babies care. The DVD has been sent more than 65, 000 free DVDs to 115 hospitals across the UK which will be distributed by the Champions. If you currently have a baby on a unit please contact your hospital who will advise you if they can help. If you find they can't you can contact Best Beginnings directly. I am looking forward to bringing you more about this project in the coming weeks. I am so dissapointed not to be meeting you at Britmums now! Great post! What a great idea,that would have been great when gemma was in nicu. With Car Rental 8 you can get affordable car hire from over 50,000 locations worldwide.